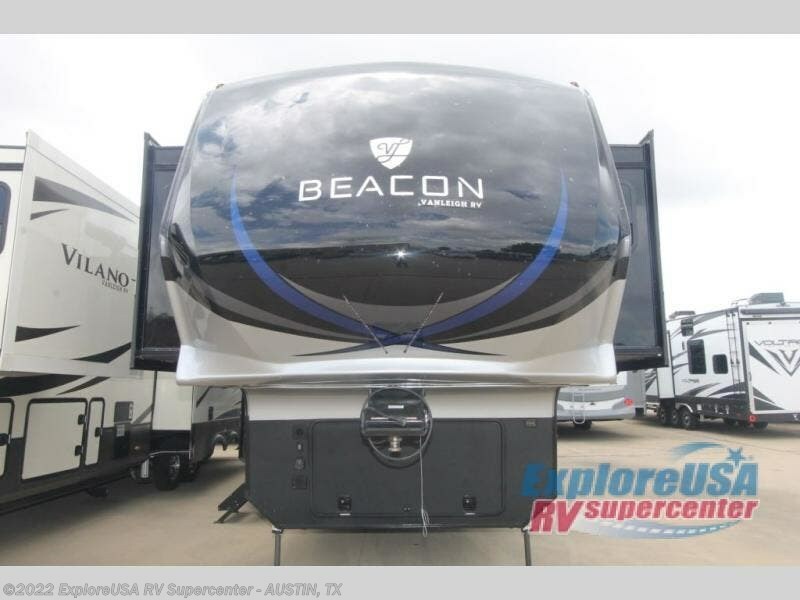 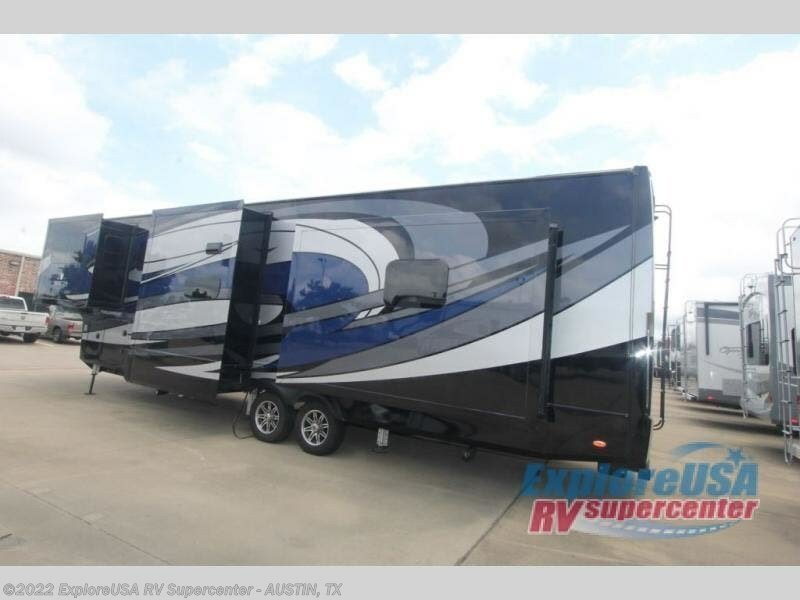 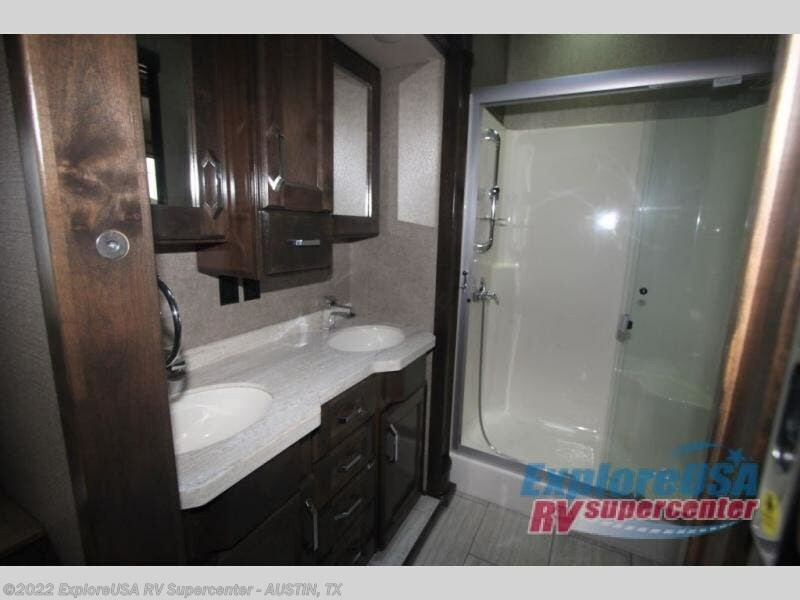 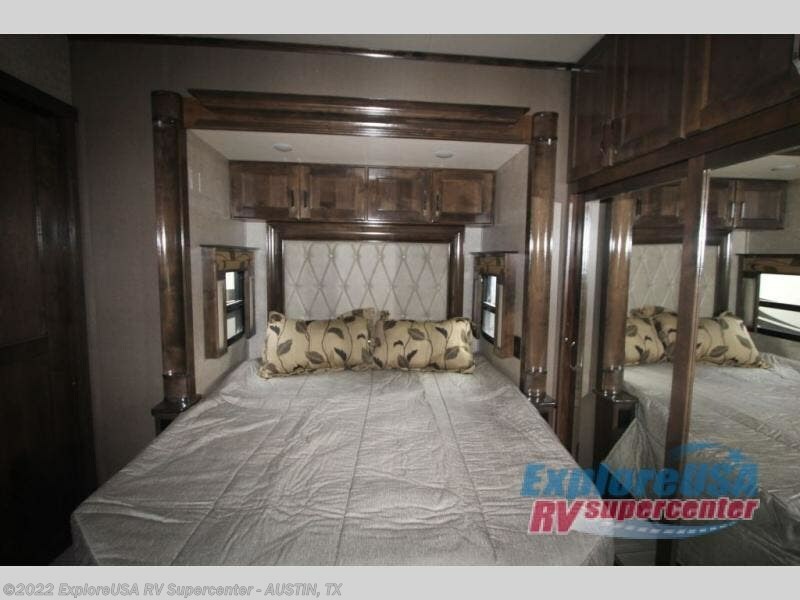 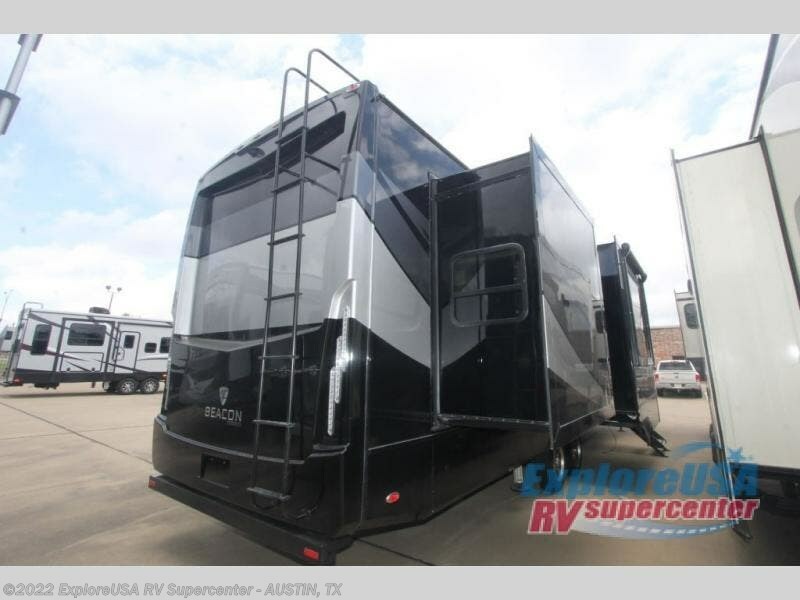 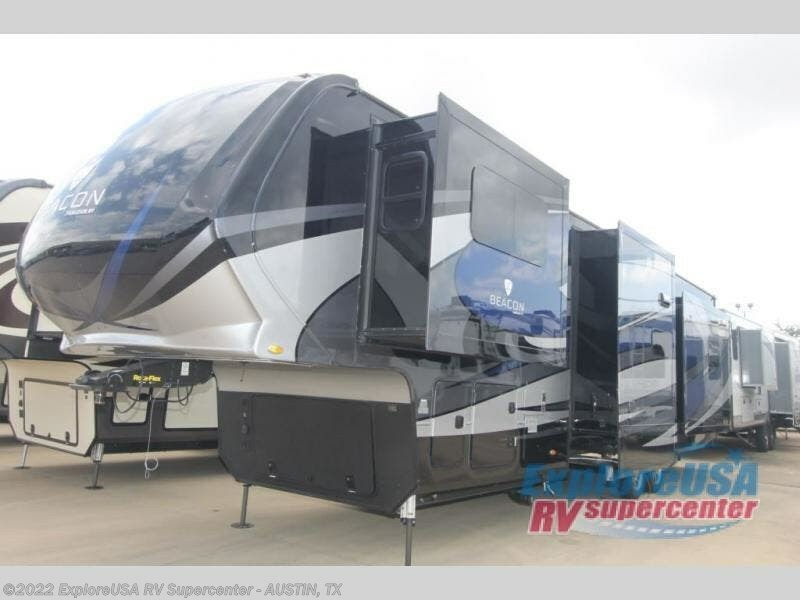 For the ultimate amount of space you will want this six-slide Beacon fifth wheel for your family! 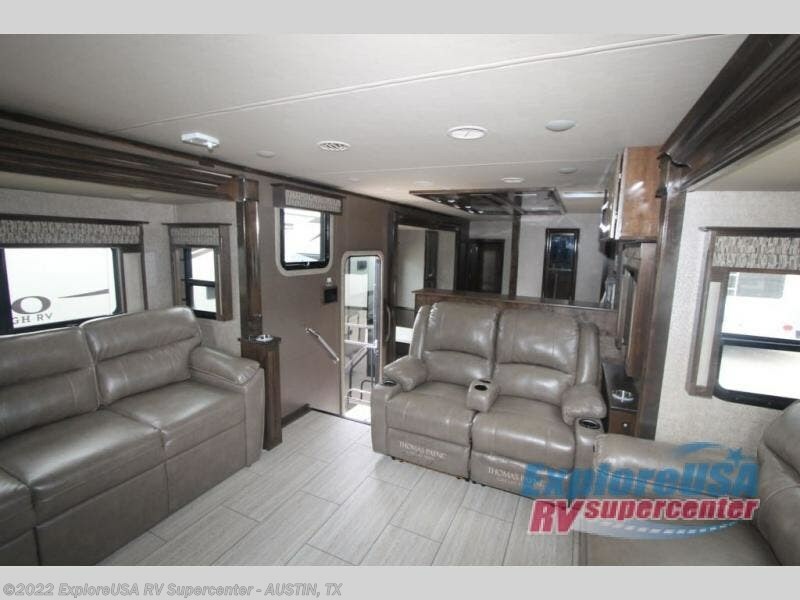 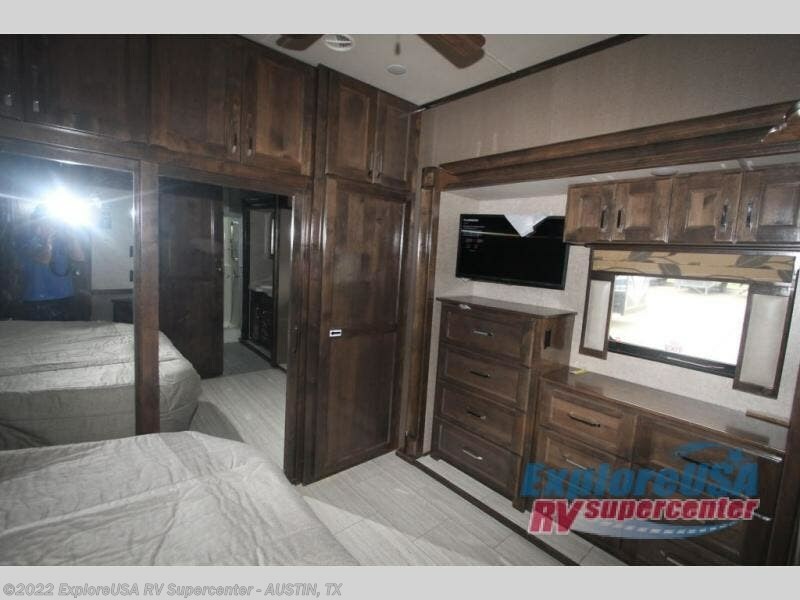 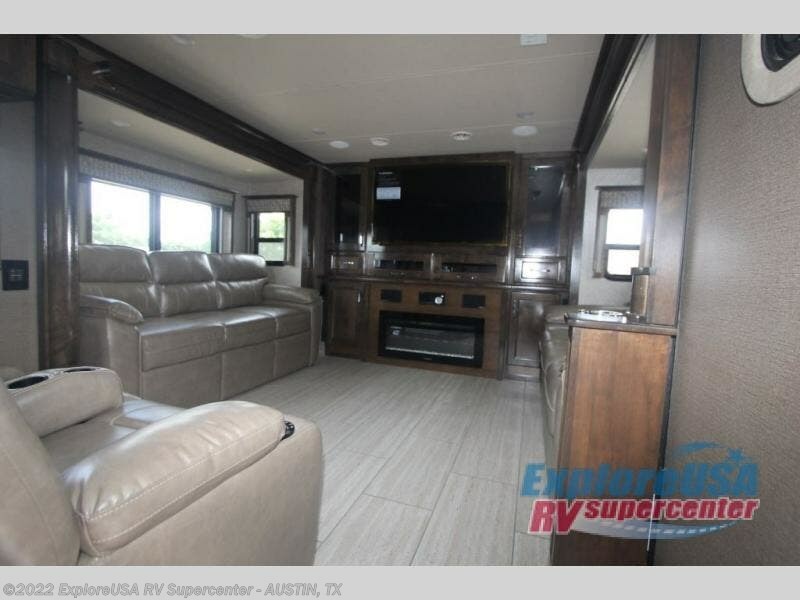 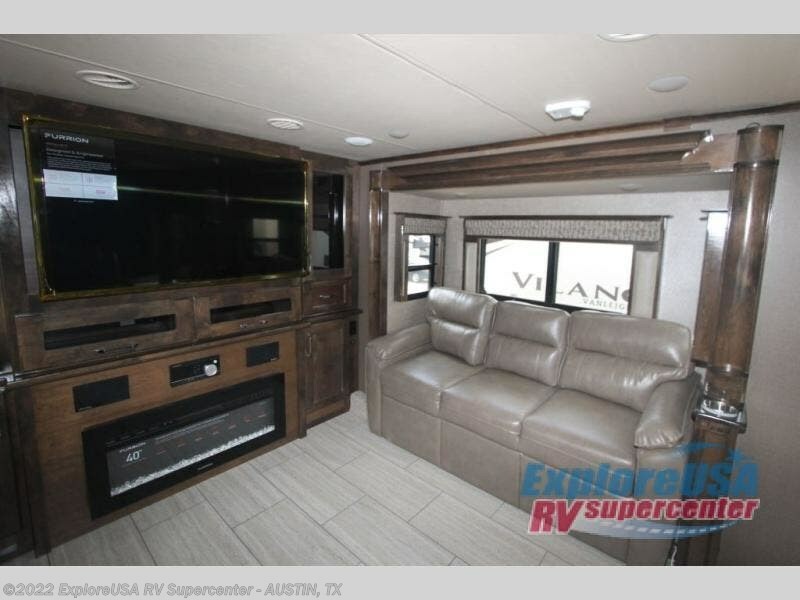 The separated living area is just as cozy as the living room in your own home with its two 74" tri-fold sofas, its 60" theater sofa, and its 50" LED TV on top of a 40" fireplace. 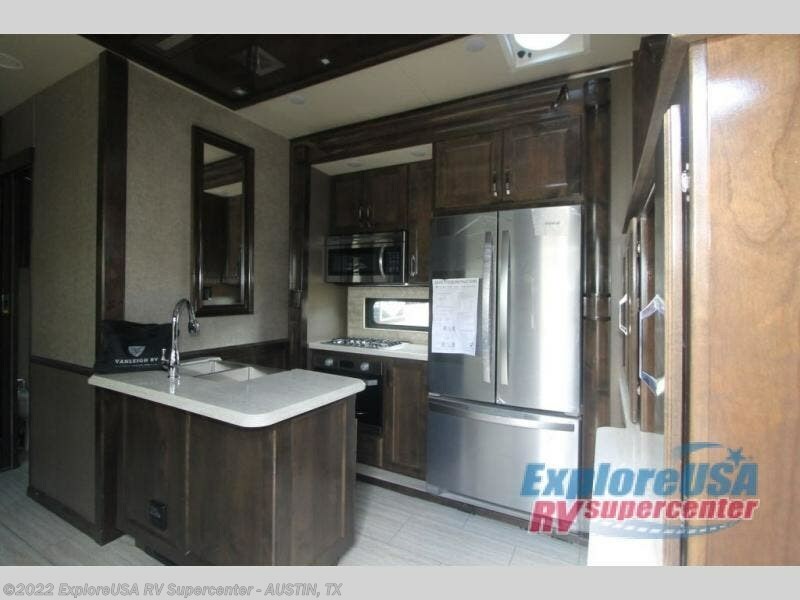 The kitchen area is great for meal preparations because of its extra counter space and 3-burner range top. 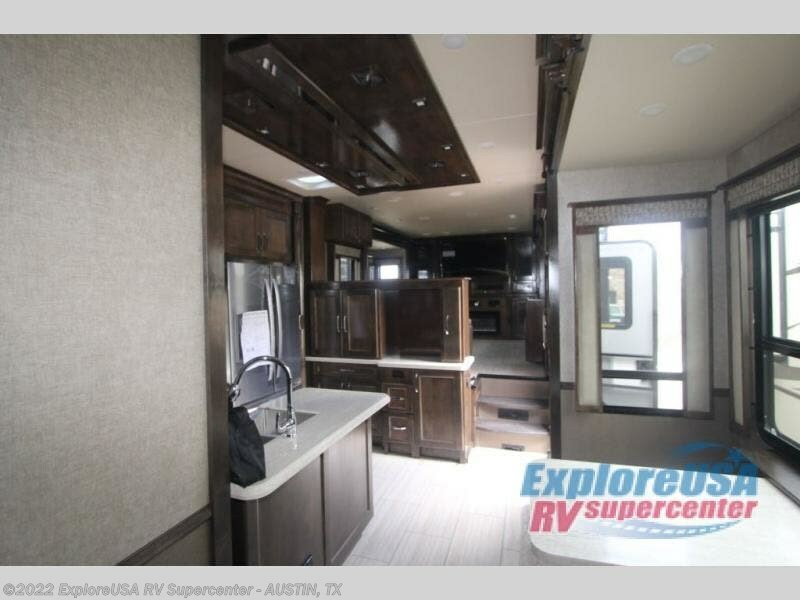 You will also find a free-standing table with chairs, a large pantry, and an 18 cubic foot French door refrigerator in the kitchen. 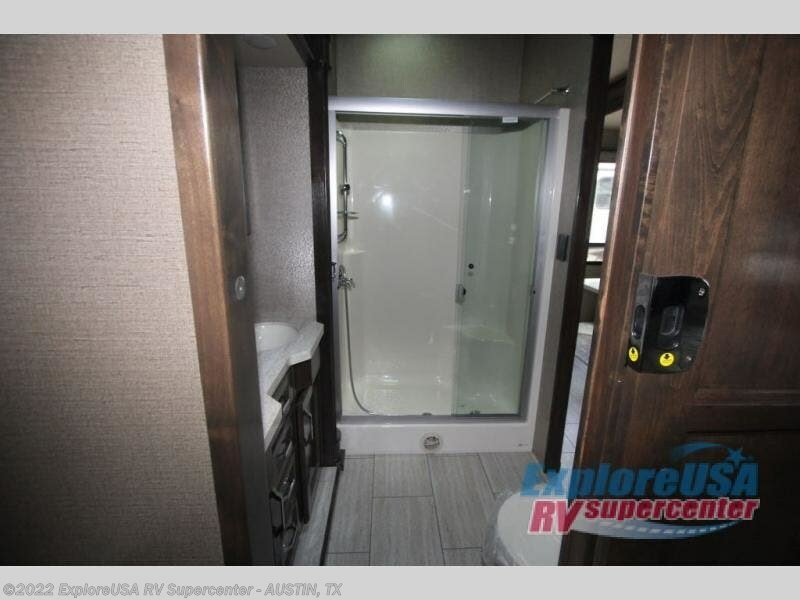 Just before you head into the private master suite you will find the full bathroom which features a double-sink vanity and a sliding pocket door that gives easy access into the bedroom.